What is it about lighthouses that make them bastions of spiritual activity? Built for strength and permanence, they are nonetheless vulnerable, protecting lives yet isolated and remote. Unforgiving of human frailty, these outposts inevitably become the settings for tragedy—and for the spirits that linger on at the site of their ruined hopes, their sufferings, their obsessions. 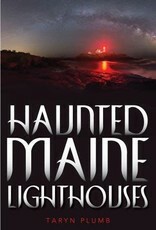 With its incessant fogs and infamously craggy coast, Maine has the second highest number of lighthouses in the country. Many of these 64 beacons are shrouded in wisps of rumor and mystery. There are ongoing strange and eerie events and occurrences that recall past violence or sadness—stranded crews who resorted to cannibalism, keepers driven to madness by unending days of blinding fog, children drowned in shipwrecks. 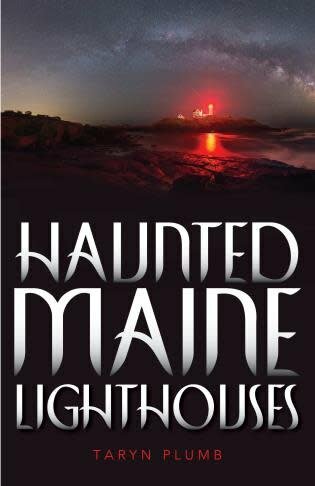 Author Taryn Plumb explores the ghostly tales and mysteries surrounding Maine lighthouses. Some hauntings can be directly tied to a known historical event, while others seem to have no origin, yet all will enthrall you with their spookiness.